Planning a trip to Universal? If so you’ll want to check out this deal. 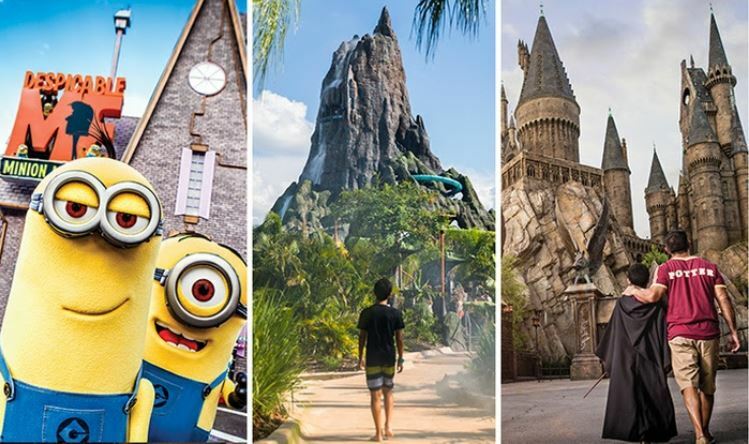 Right now when you Buy 2 Days, Get 3 Days Free on Select Promo Tickets at Universal Orlando Resort! There are MANY options available – view them all HERE. Coming face to face with King Kong and swinging side by side with Spider-Man are all in a day’s work at Universal Orlando Resort™. In three amazing theme parks, guests find adventure awaiting them with thrilling coasters and hilarious shows set in the worlds of their favorite on-screen heroes and villains. At Universal Studios Florida™, take on the new ride Fast & Furious – Supercharged™. Then, experience the magic and wonder of The Wizarding World of Harry Potter™ – Diagon Alley™ as guests escape from the goblin-run bank of Gringotts™ in Harry Potter and the Escape from Gringotts™. Guests with a Park-to-Park admission ticket can hop on the Hogwarts™ Express* to journey to Universal’s Islands of Adventure™. There, they’ll land in The Wizarding World of Harry Potter™ – Hogsmeade™, where they can sip Butterbeer™ in the tavern or visit the halls of Hogwarts™ castle itself. In Universal’s Islands of Adventure™, visitors can also explore other island worlds, including Marvel Super Hero Island® and Jurassic Park™. Expiration varies. ALL SALES FINAL. Limit 6 per person. Valid only for option purchased. Redeem on first day of admission for a ticket at venue. Valid photo ID required. FL sales tax due at checkout.